Join us on Thursday, February 27th at 8 pm for IAW&A Night at the Broadway play, Outside Mullingar, by John Patrick Shanley! John Patrick Shanley is the most recent recipient of the IAW&A’s Eugene O’Neill Lifetime Achievement Award. Here is the discount information. 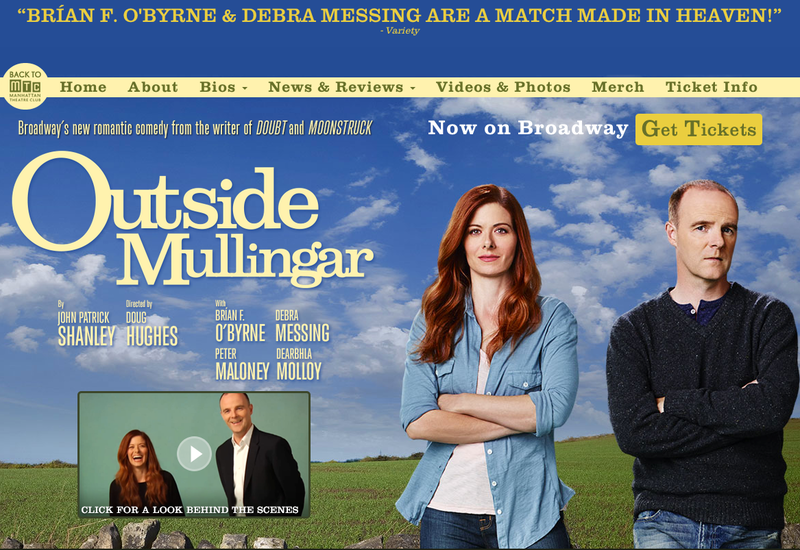 You can use the discount code for IAW&A Night or any other performance of Outside Mullingar. If you can’t make it on February 27th, enjoy the show at a discount another time. 261 W. 47th St. (btwn Broadway & 8th Ave.). Strictly Limited Engagement thru March 16 Only! After the show on February 27th, join us for a pint at Langan’s Pub.